Indian cricket captain Virat Kohli is one of the most popular sports celebrities in the country, where cricket is almost a religion. Virat Kohli also has a huge following on social media outlets such as Instagram and Twitter. Top brands regard Virat Kohli as a top influencer, and pay him big money for plugging their brands. A report on BloombergQuint suggests that Virat Kohli potentially earns over Rs. 80 lakhs for a single Instagram post. Well, this much money is enough for him to buy a swanky luxury car. In fact, Virat Kohli recently put up an Instagram video of him driving an Audi RS5 – his latest sportscar. The video also showed Audi India MD Rahil Ansari on the passenger seat. While it’s not clear if Virat Kohli got the Audi RS5 in exchange for his Instagram post, such a possibility cannot be ruled out due to two simple reasons. 1. 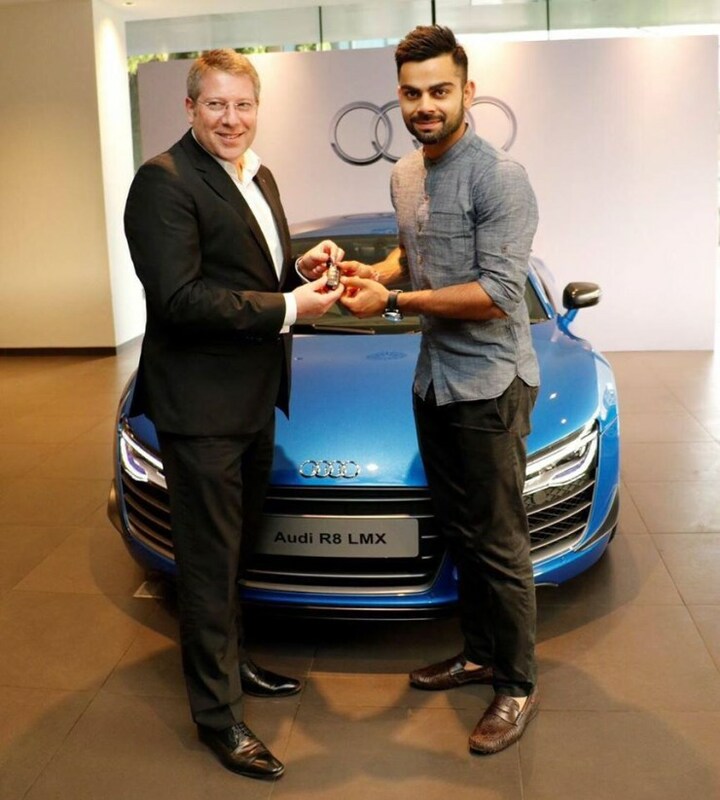 Virat Kohli is Audi’s brand ambassador. He routinely is seen launching high-end cars for the brand, and is also seen driving around in Audi cars such as the R8, A8, Q7 R8 Spyder and more recently – the Audi RS5. 2. Virat Kohli charges for his Instagram posts, and it’s very likely that Audi has given him the RS5 in exchange for him promoting the car through Instagram, and the Youtube video, where he’s seen praising the car’s everyday usability. Virat Kohli owns five high-end Audi cars – two of them supercars. The Audi R8 was the first supercar that the cricketer bought/received from the brand. The Audi R8 owned by Kohli features a 5.2 litre V10 petrol engine that produces 525 Bhp-530 Nm. While the car is no longer available for sale in India, it used to sell for Rs. 2 crores. The other Audi supercar owned by Kohli is the fastest car ever sold by the brand – the limited edition R8 LMX. Only 99 examples of the LMX, which can hit 320 Kph, were built. The car is powered by a 5.2 litre V10 petrol engine with 570 BHP and 540 Nm. The other super quick Audi in Virat Kohli’s garage is the RS5 coupe, which features a 2.9 litre turbocharged V6 engine with 444 Bhp-600 Nm. The RS5 coupe can hit speeds of 250 Kph. « Maruti Ciaz Facelift: New spyshots reveal more!